I woke up super psyched since I was going to see my brother after two months! It's weird that we're finally studying in the same country again, and I still don't get to see him often. 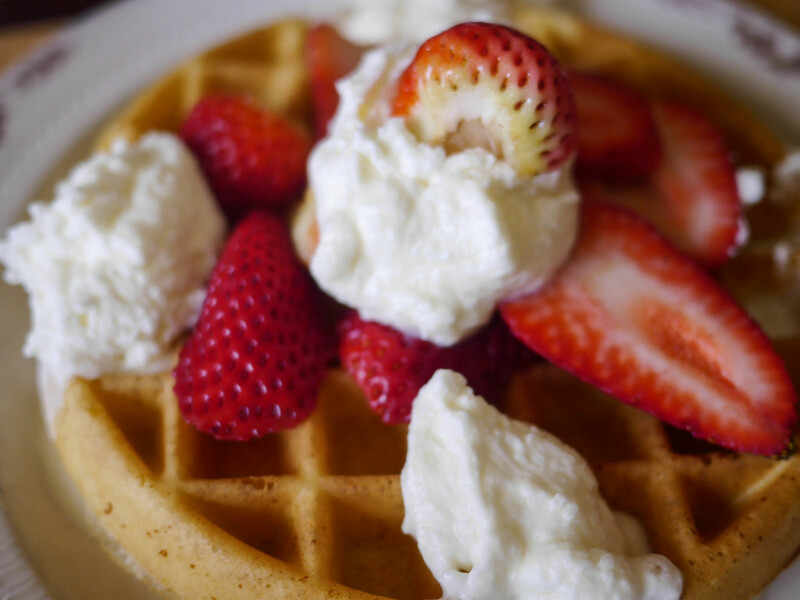 We caught up over brunch with some of our favorite types of food... pancakes and waffles. I was craving some waffles and I knew Larry would always be down for it as well. With some Google searching and a productive session on Yelp, I found Sears Fine Food. We were starving once we got there, so we quickly ordered their supposedly famous plate of pancakes! I didn't think the pancakes were that outstanding, but they definitely were still great. Good enough to satisfy my pancake craving. My brother and I obviously liked the waffles a lot though, since we finished it in the shortest amount of time. The berries were so sweet, we wanted more! The waiter gave us a token for the cute and customized slot machine out at the front of the restaurant. Apparently we wouldn't have to pay for the meal if we hit jackpot! We were only one chicken away from a free brunch. Come on hamburger, you failed us. Afterwards, Larry took me on a walk around the beautiful city and towards China Town. We talked about the last time we were in San Francisco, while I pointed out the bits and pieces that I remembered. 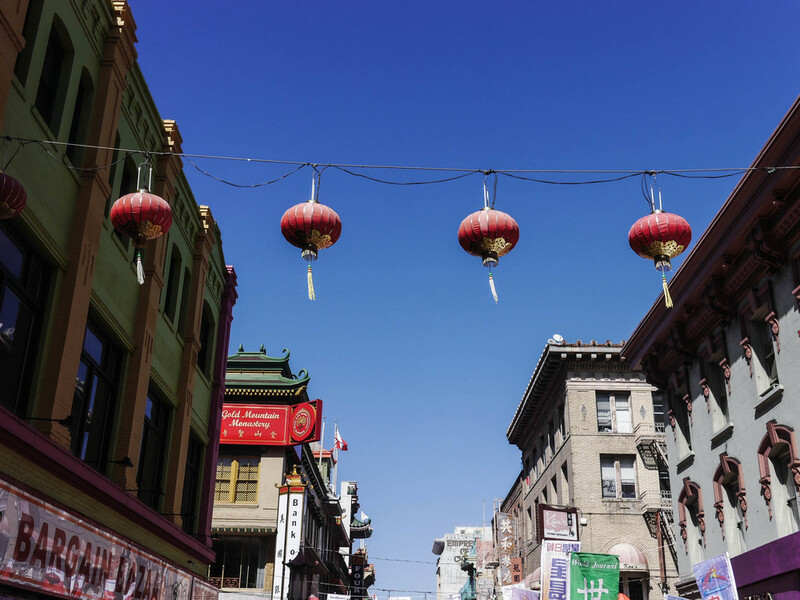 Conveniently, there was a Chinese New Year parade that was happening in China Town later that day, so the streets were packed. I literally felt like I was in the middle of Tsim Sha Tsui in Hong Kong since everyone around us were speaking Cantonese. Larry took me to the Ferry Building, which has a marketplace and really nice restaurants surrounding and inside it. The weather that day was perfect for a stroll along the waterfront. Craving some cold desesrt after seeing more than three kids walking past with some soft-serve, we searched the marketplace for some vanilla ice cream. It seemed like a very popular place since the line was a decent length, so we were pretty excited to try it. Don't judge that I got soft-serve in a cup...I wanted toppings and that would've ended up extremely messy if I stuck to a cone. It looked really creamy and milky, so you can imagine my surprise when Larry told me his tasted like glue. Uh..what? I didn't believe him while I continued to dig into my strawberries. But, once I got to just the ice-cream, it hit me. It really tasted like glue. The texture was really odd too. It looked exactly like Elmer's glue when I tried to pick some up. Maybe we were missing something? Does soft-serve change taste and texture when in a cup...? We had no idea. Whatever happened it ended up in complete dessert disappointment. I said bye to my brother and headed to meet up with Milansai for the rest of the afternoon. I didn't realize how much I missed my brother's company. I feel like we understand each other on a completely different wavelength— there's no shame or embarrassment when each of us does or says something weird. I missed him!